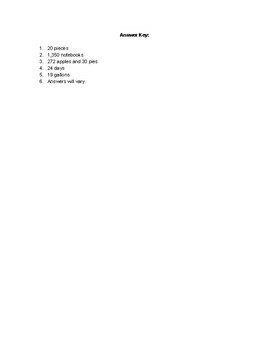 This document include 6 word problems, ideal for one class session or for use with a substitute teacher. It includes multiplication, division with a remainder, and fraction work problems. 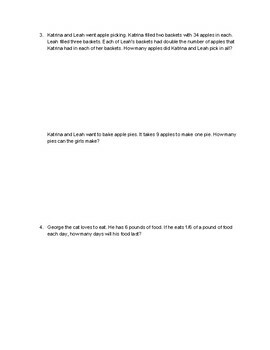 The final problem asks students to come up with their own word problem to match a given expression.